Founding your startup can be hard and challenging. Exhausting and time-consuming. The biggest reason why startups very often isn't a bad idea. It's a lack of knowledge and experience. That's the reason why we have created a list of the best free tools you can use to manage and grow your startup. If either of these foundations fails, your startup will in the most cases fail too. But what are the biggest reasons why will your business model fail? "Time and money are equally important resources." If you have time, but no money, you will don't go so far. Also, if you have money but no time, you will also fail very fast. 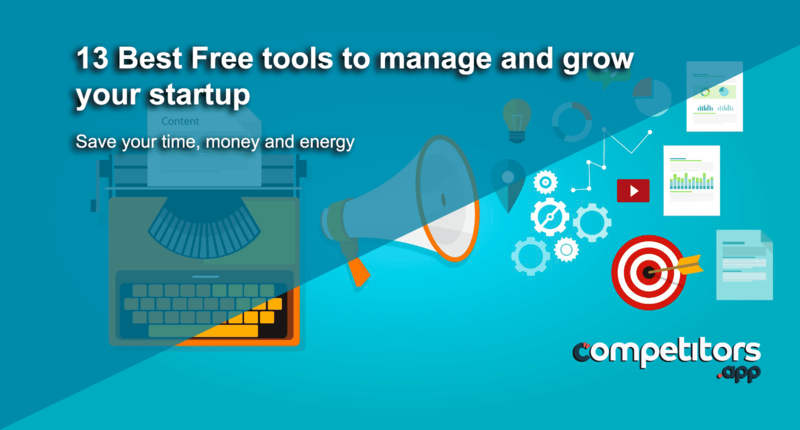 This is the reason why we have created an ultimate list of the [number] best free tools which will help you to manage and scale your startup. We will start from the beginning and the first tools which will we mention will help you to organize your team and yourself better. Organization tools help us to plan better and be flexible. With great planning skills, we will never forget some task or pass the deadline. Google docs are one of the best tools for your work. 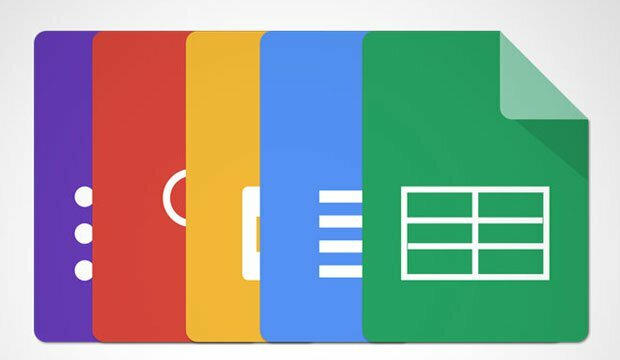 Personally, in the previous few months, I saw a significant amount of people who are using Google Docs instead of Microsoft Office. Google Docs are good for your everyday writing and planning your marketing, sales and business. For your tables, data, lead generation, etc. – you can use Google Sheets. For your presentations, Google Slides will work very, very fine! Trello is a great tool for planning your and your team's workflow. They have a "free forever" plan, which will satisfy your needs very good at the beginning. 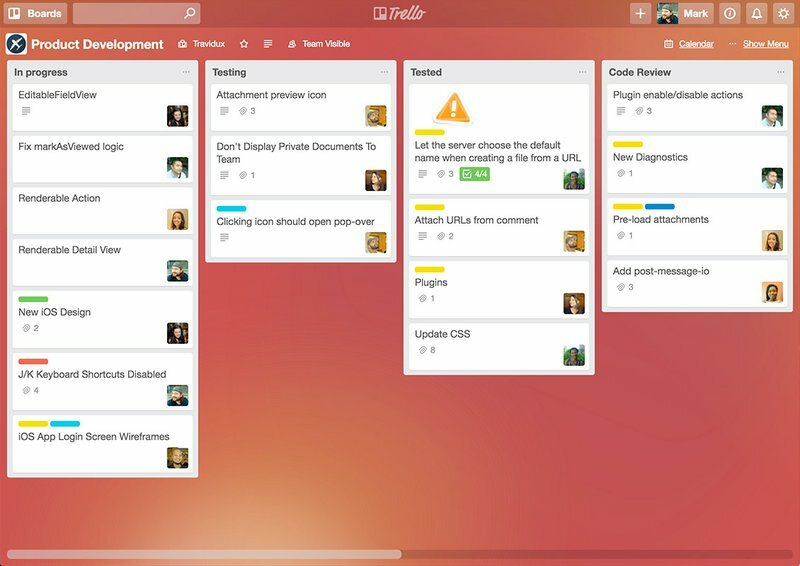 Trello is mainly used for task planning and scheduling your workflow. It's mainly based on a KanBan methodology, which means that you can create boards and items/cards inside of them. Later, you can move your items from one column to another one. In Trello's free plan, you can invite as many team members as you want. Trello will help you to schedule your tasks better, never forgot some assignment and monitor your teams' responsibilities. Easily, Evernote can become your best friend. It's a note-taking tool. With Evernote, you can easily see all your notes on all of your devices. You can write notes wherever and whenever you are. Evernote has a lifetime free account, which will be enough at the beginning. With your free Evernote account, you can sort and filter all of your notes, so you can later easily find what you need. Calendly allows you to easily schedule all of your meetings and appointments. Just create your calendar with your free time, share the link with your prospects or business partners, and they will choose which time suits them best! 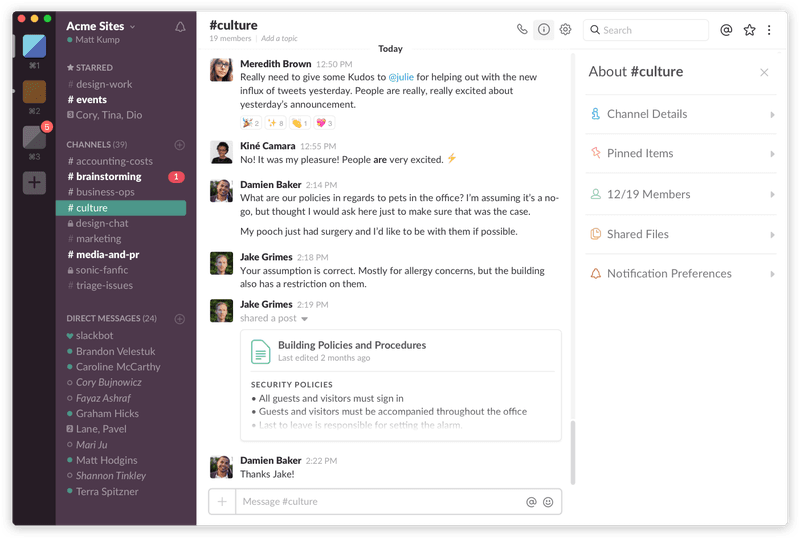 Slack is a free communication tool. 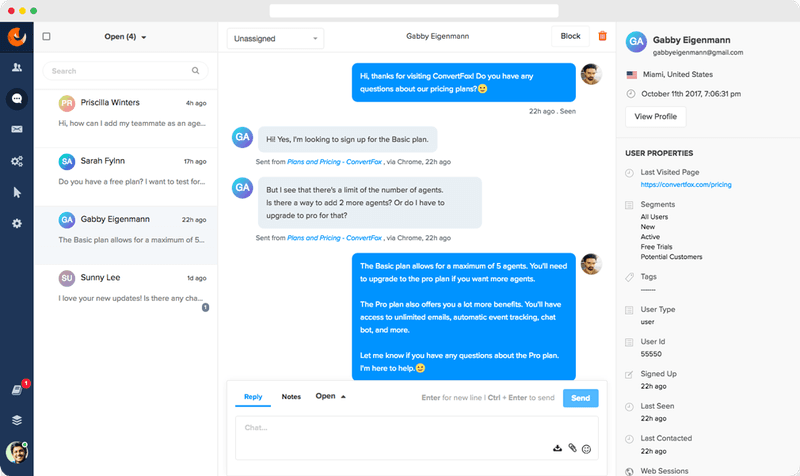 It allows you to communicate with your team in private channels, and channels with different topics. You can invite as many people as you want, and you can create whatever topics you want. I supposed everyone heard about Dropbox, so there is no big need to explain what's its' main purpose. 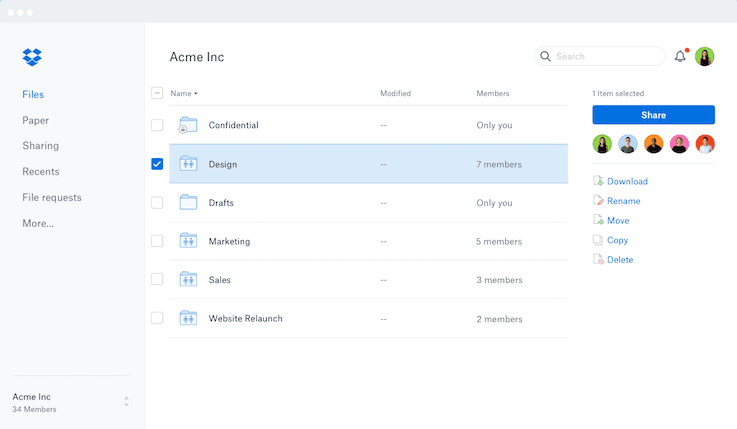 Dropbox allows you to share files among your team members within seconds. You can access all of your files both from your computers or mobile phones. Everything you need to do is to just drag your file in your Dropbox desktop folder, and all of your team members will see it! Typeform is a great tool for your customer development. 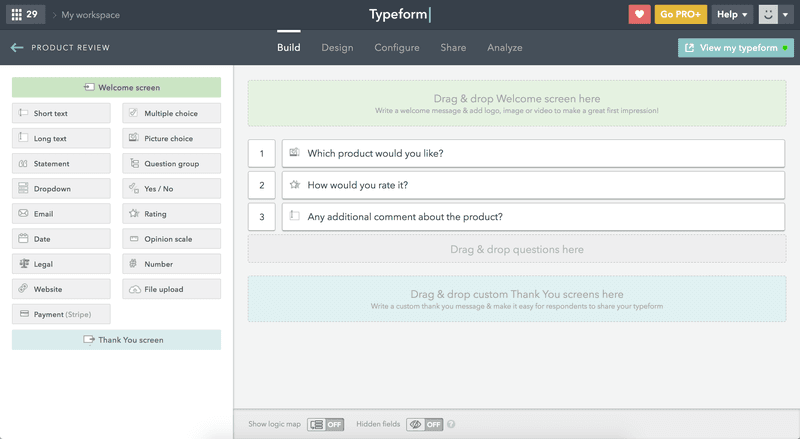 With Typeform, you can create amazing and engaging customer surveys with cutting-edge design. ConvertFox is a free customer messaging platform. With ConvertFox, you can see all the data about your customers (for example: when was the last time they have used your product). – And a list goes on and on. ConvertFox will also help you with communicating with your customers. Their free plan supports 500 customers, which is very enough if you are at the beginning. Agile CRM is suitable for small and medium business. With their free plan, you can have up to 50 000 contacts and companies in your database! Agile CRM allows you to plan your sales, track and gather your prospects, and, best of all, to see who is actually a hot lead and who is not! Agile CRM is a great software for you since its' free plan has everything you need when you are at the beginning. 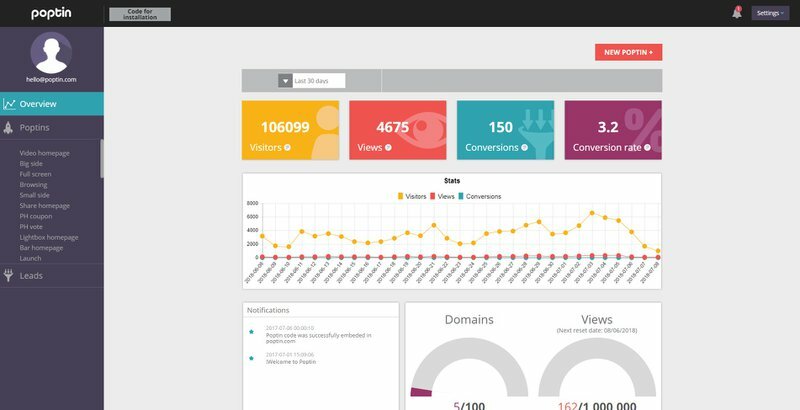 Poptin allows you to easily convert your website visitors into leads and customers. To set up your Poptin account, you need a few minutes. After that, Poptin will show your website visitors appropriate messages into right time! For example, if you have an e-commerce shop and your website visitor is just about to leave your check-out page, Poptin will show them a message with 20% discount on the item they are interested in. Ah, we all hate customer support, but in business, it’s very important. Great Customer Support is what makes a good business. Very often, companies are using Customer Support as their competitive advantages. Freshdesk is one of the best customers supports helpdesks out there. 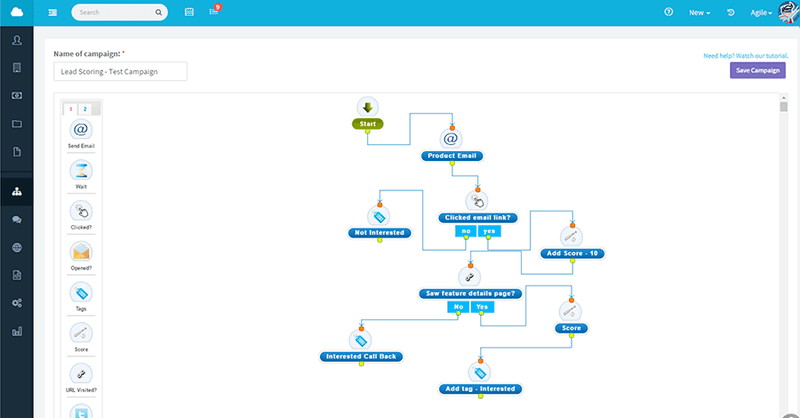 It’s super simple to answer questions and half of the processes are automatic. In Its’ free forever plan, you will have everything you need till you don’t scale your startup! 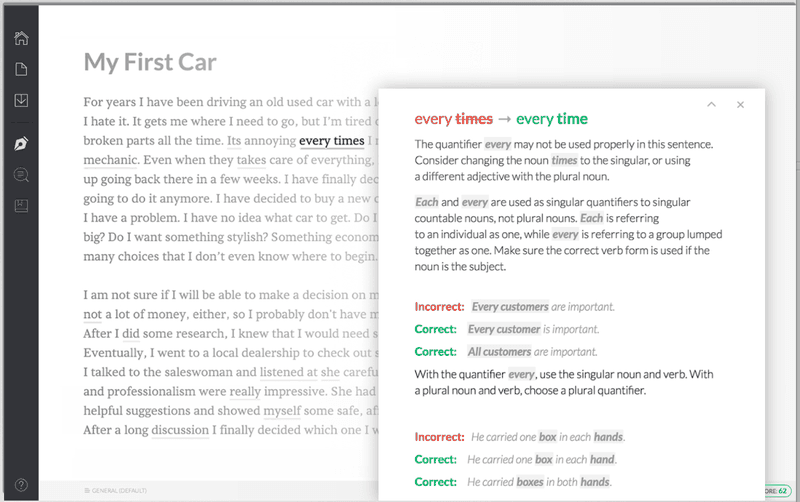 If you are planning to write content, then you can't write it without a Grammarly. No matter how good your English knowledge is, Grammarly must be an inevitable part of your daily routine (I'm using it right now). The most important free tool you will surely need. All the tools I have mentioned above are very good for your business. If you want to scale your company, then you will probably need to use them. But there is one tool which is most important of all of them. Your attitude is what can make you either successful or not. Work hard and always have hope.